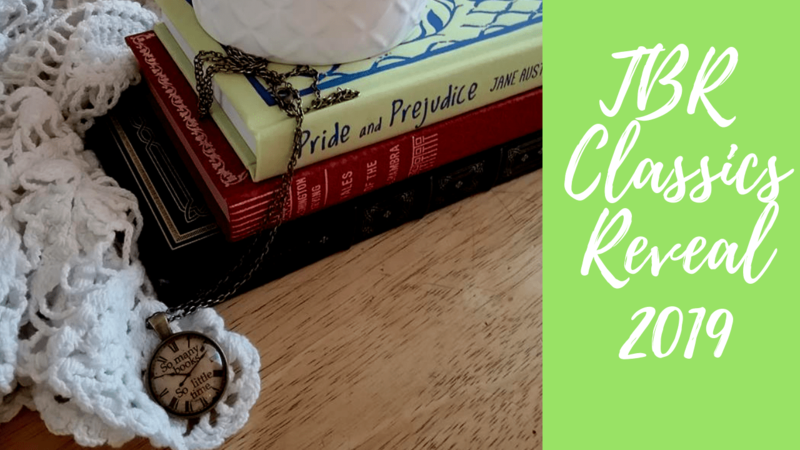 In my previous post I shared my final thoughts for my first year in participating with Books and Chocolate’s Back to the Classics. There are 12 prompts that you choose a classic to fit. This year I am thrilled to reveal what I chose for this year’s prompts. I chose Washington Irving’s Tales of The Alhambra. I found this at the thrift store one day and remembered a reference to it from one of my favorite period drama’s, North and South. I really knew nothing about it, even when I chose it for this challenge, but I am looking forward to reading this acclaimed book about Irving’s travels to this said place. I decided to do The Yearling by Marjorie K. Rawlings. I heard so much about this book from Sarah MacKenzie’s podcast, Read Aloud Revival. So many people raved about this book and how it changed their life as a parent. That really intrigued me. It is centered a young boy in Florida who finds a fawn and adopts it. Now, I don’t know if the fawn causes a bunch of other dangerous animals to come on the boy’s farm or if its just the area, but regardless at some point the boy has to free the fawn. It’ll be interesting to see if this book lives up to my expectation. 3. Classic by a Woman Author. I selected Rebecca by Daphne Du Maurier. One of my own personal challenges is that I did buy any books for this challenge but shopped my own shelves which are filled with classics that I want to read. Actually, lets be honest, my shelves are filled with MANY to be read genre’s and selections. Rebecca is one that I recently found a copy of and knew a little bit about it. I vaguely remember watching a movie some years back. I know it has to do with a ghost and that a guy falls in love with this ghost, but that is about all I can tell you, other than I have a really good friend that really likes it. 4. Classic in Translation. Ok, so I originally had a different book, which I can’t remember, but I had REALLY wanted Confessions of St. Augustine but I couldn’t figure out where to fit it. Or if I did, then I couldn’t figure out where to put the other book that was in that category. It wasn’t until I was flipping through it that I saw “translated by” that I squealed and made it happen. I have always wanted to read this but never did, but I have loved everything I have seen so far from Augustine. I will actually begin the 2019 year with this selection. 5. Classic Comic Novel. Oh comedy! Yes, my immediate thought when I saw this was to pick up my favorite author, Jane Austen. And her most famous comedy work, is of course, Pride and Prejudice. I have read this before but it has been so long that I really don’t remember much. I’ve seen the movie a hundred times, and I am talking about the ONLY Pride and Prejudice film. There is only one in my book, (Colin Firth forever!). I went over the website a few times and I do not see any rules stating that it has to be a book I read for the first time, so hooray! I am counting this. “I’m always in agony over whether Elizabeth and Mr. Darcy are really going to get together. Ugh! Read it. I know you’ll love it.” (name that movie). 6. Classic Tragic Novel. What could be more classic than Charles Dickens, The Mystery of Edwin Drood. Tragic because Dickens actually died before completing this tale. I actually knew nothing about this book until February of 2018, when I got to play the part of Dorothy Parker. At this ghost writer’s interactive mystery, we are trying to figure out who killed Dickens novel. The death of a novel is an author’s worst nightmare and so on, anyway, I became really intrigued about the story because it played a role in our interactive mystery. So, I can’t wait to dive into this book. It may be my October spooky book. 7. Very Long Classic. I had this book on my TBR for a long time but the length has always stopped me. Challenge for the win! I think in order to really finish this book, I am going to have to set myself up for x number of pages a week or day or something in order to really get a good stride going. Brother Karamazov is the story of four brother and a murdered father. And the whole story is how all four did it or which one did it? Something to that effect. I have heard only good things about this book, outside of its length, and so while I am put off by its size, I am intrigued by its content. 8. Classic Novella. “Any work of narrative fiction shorter than 250 pages” I am choosing another Jane Austen novel, Northanger Abbey (this particular copy is 216 pages). Over on this website, they have it listed at 182 pages. So depending on your copy, Northanger Abbey fits the bill for a Novella. While its not my particular Jane Austen favorite, I do love Austen’s humor in creating a satire against the gothic novels of the time. Catherine is the heroine and she loves to find mystery and darkness to the point where she almost looses her friendship with someone near and dear to her. I really love the hero, Henry, from what I can remember. We will see if he lives up to what I remember of him in my mind. 9. Classic From the Americas (includes the Caribbean). Anne of the Windy Poplars is chosen! If you have known me for any length of time, you will know that this will be my fourth year of reading one Anne book in the month of October. I have never read the series and each October, I am working through one book. It has become symbolic, but it is also more than that. I am LOVING watching Anne grow up and in my adult years, really treasuring her maturity and in a small sense, seeing my daughter in similar stages has meant a lot. I have taken away much from these books. I will probably make this a life-long tradition. By the way, Anne takes place in Canada– North America. Yes, I am counting it! 10. Classic From Africa, Asia, or Oceania (includes Australia). For this one, I am doing Kim by Rudyard Kipling which takes place in India, in the Asia continent. This is another book that I needed to do this year and since I don’t want to overload myself with book to read, I included it in the challenge. My daughter is reading this for the final book in her school year and so I thought it would be a good one to do together with her. I know so little of it, but I do understand it has a lot to do with the British invasion of India and a lot of history and culture wrapped up in this book. 11. Classic From a Place You’ve Lived. “Read locally! Any classic set in a city, county, state or country in which you’ve lived, or by a local author. ” Honestly, this one had me pause big time. I have lived in my local area my entire life. Its not really a town to write home about. It just is. And a classic? I couldn’t think of anything. I knew I could find one for California, but I really wanted to try and do something a bit more specific to my area. Grapes and Wrath by John Steinbeck actually takes place in my county! All I know about this story is that a family migrates to this area because of the dust bowl and the Great Depression. That’s pretty much it. It’ll be interesting, to say the least. Still on the fence about Steinbeck. 12. Classic Play. And here we have it, the bomb. All I could come up with was Shakespear. Remember my criteria, it had to be something on my shelf! I am not a big “read a play” kind of gal. More like go and see a play! Especially if its classic based. I had nothing. The last play I read, outside of Shakespeare in homeschool, was in English class some years back. Death of a Salesman. Not the best impression for plays. Thankfully, my husband’s shelves came to the rescue on this one! It was a toss up between Man for All Seasons (I had 3 versions to choose from) or what ended up being my choice and one of my husband’s favorite movies, Cyrano De Bergerac. And even that, I had another 3 versions to choose from. Well, there we go! All chosen and lined up pretty on my shelf. Are you setting yourself any goals this year? Will you be participating in challenge? Let’s chit chat in the comment section down below! And now I’m rethinking some of my choices!!! Whoa! That is an ambitious list! Rebecca is one of my all-time favorites and one of the only books I’ve read multiple times. I highly suggest the movie with Laurence Oliver. Be warned: Grapes of Wrath is one of the saddest books I’ve ever read. The ending kills me. Good luck with Confessions and Brothers Karamazov! I’ve read Brothers, it’s a loooong read but a good one, especially for Russian literature (which in general is too depressing for me). Nice!